Because crayons are made from wax and you can melt wax into various shapes. To Jade: They are made of crayon wax. watch the video. Well, for A: They are made of crayon wax. for B: They are made out of crayons. So technically, they are crayons but in a different shape! 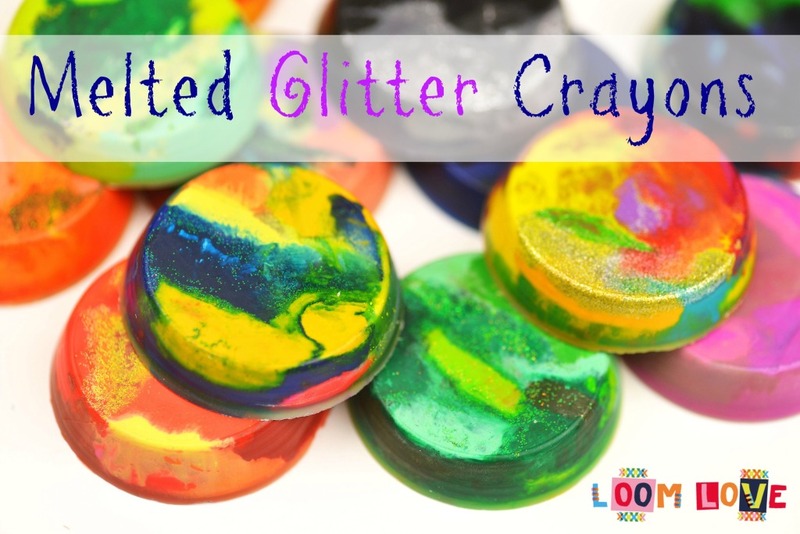 Wow, I really love these melted glitter crayons! 🙂 It’s a very good idea! Oh, BTW, second comment! ^__^ After I tried to make them they turned out so good! I made one with only one color of crayon and I thought it looked better than the ones that the colors are all mixed together. That’s just my opinion. 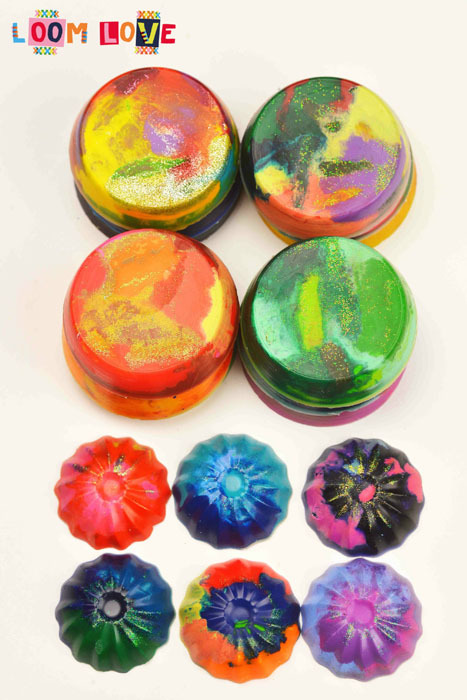 Thanks for making the melted glitter crayons! Nice but do you have like a pencil mould so they actually look like crayons???? Well done girls good tutorial. My video froze about about a minute before the end 🙁 ….though I got to see you tipping them out! I liked your crayon glasses!!! Lol ….. I just thought a way you could use yr crayons. You know the scratch pictures? Yep good fun! Love the idea of scratch pictures! Wow! They look so amazing, I’m thinking about making camouflage style ones. I’m looking forward to making them! that would be so cute!!!! Good idea to make camo crayons! These look like a lot of fun!!! I have tons of crayons and I’m pretty sure that I can use the extras to make these. My brother will love them too! The paper liners are a really good idea! Cute!!!! I love the intro. You guys did a great job!!!! So cute! Such a fun way to recycle crayons. I have WAY too many crayons too, most are now mixed together with other colours of crayon so I will try to make these soon! Speaking of crafts, at the school party that was after school today, me and my four closest friends at my school made a miniature Buddhist shrine out of cardboard, decorated with ribbons, stickers, two pom-poms, masking tape, origami flowers, those short cardboard rolls and coloured pens. It’s so cool! It was really nice of my friends to let me take it home. I came up with the idea too 🙂 Maybe you could do tutorials on how to make miniature models of buildings with similar things 😀 And, there was face paint and guess what I got?? I got a red lightning scar on my forehead!! My two closest friends out of the four also got lightning scars, except one was black and one a pinkish colour. They weren’t too specific about what they wanted, lol 😛 And to our teacher, who is REALLY nice we went up to him and I said ‘Avada Kedavra!’ and he froze, and then one of my friends said ‘you’re meant to die!’ and he said ‘oh yes, I forgot’ and mimes dying, lol ;). He has read the books though. that comment is interesting, hermione. Uhhh…. What’s a buddhist shrine? These are so cool! I can’t wait to try them! 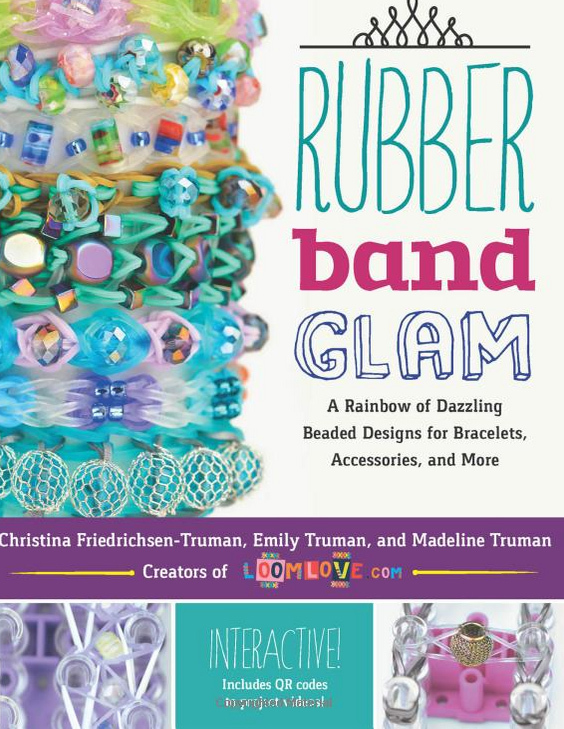 I really like the idea of LoomLove putting on craft tutorials. Keep up the good work Loom Love! How long did you bake the crayons? Love these my fave is the mixed teal!!!!! This is so awesome, you have done it again loom love!!!!!!!!! Wow! Great Idea! These glitter crayons are awesome. I really enjoy your videos and I think that you should definitely make more craft videos! Anyways, I just have a question. Not meant to be offensive. Congrats on the first craft video. And congrats to Shortleaf for winning the giveaway. That’s all! I would really value and appreciate a response to my question. Thanks. use them as you would for a normal crayon!! You can definitely colour with them. If you have little brothers, sisters, cousins, nieces, nephews you could make them as a gift. Little kids love playing with them! I just saw y’all’s comment reply and I think my nephews would love them! So pretty!!! Love to try this! 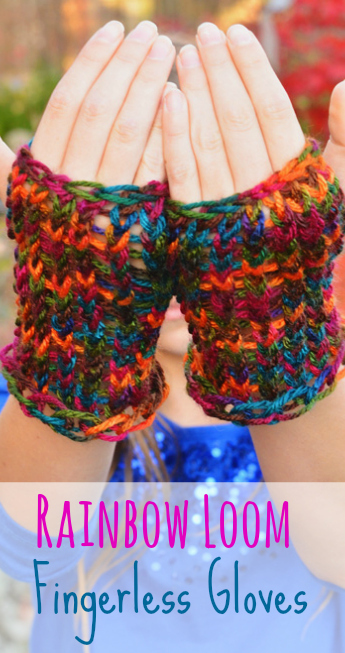 I love that you guys are making craft tutorials now!!! AWESOME!!!! You guys should make garbage bag dresses!! I always thought they were super cool but I could never find any good video tutorials. Thanks Loom Love!! Never heard of garbage bag dresses. Wow! thats such a cool idea:) do the crayons have to be wax crayons or any sort will do?? You guys are really funny and cute! Loved the video and I’m gonna try this out. Pls get some more awesome craft tutorials out, it was fun watching the video! Yes, they have to be wax. What do you use these for ? We’ve done this before, only we used molds. We used a black/brown crayon and made it look like a chocolate bar. It was so realistic, my dad took a bite of it!!!!!!! It’s really fun to do in molds. I recommend doing molds instead on muffin tins. ???? Never thought of making ‘chocolate’. Sounds like fun! AWESOME!!! I would like if I could! Make some more craft videos! Sorry to hear that Isabella. Did you set the oven to 250 F? If it was set at 250 Celsius they would turn black. The crayons look so cute after they’d been melted 🙂 keep up the awesome work. 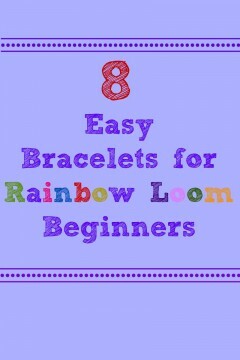 But keep the Rainbow Loom tutorials coming!! I like to use old broken crayons for these. Can you do them without glitter? I don’t have glitter but I want to do this with my little brother and sister. Yes, you can make them without glitter. Can I make it scented WITH the glitter? Hey loom love, I have an idea. Can you post to get the shaped tins from, because I only have football jello molds. Would that work? This is a great idea to do them with glitter. I’ve done these before with my family, just without the glitter. I should make some for my little sisters. Cool. I really like the glitter crayons. Good idea! Me and my sister made these, and we love them! I think it’s so cool that you can turn some ugly crayons into some beautiful multi-colored ones! You should do a soap-making tutorial. Glad we got to see you besides you hand, you guys ( girls ) made this real fun! 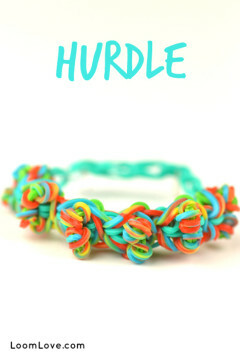 Will you do another wacky bracelet contest? 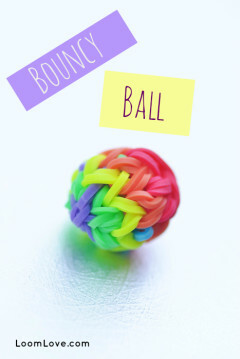 Loomlove this is great for your first ever craft tutorial!!! Your crayons look really cool,you guys make THE BEST colour combos!In bracelets too!!! I made these and the top turned out great but I have no idea how but the bottom of them changed to a colour which wasn’t a colour that I used. Other than that they were pretty cool! Great Idea ! I really want to make some now ! Thx !